They want to remain afloat and relevant politically. Barclays bank name featured prominently in the sh. 21 billion dam payment scam and now it’s back in the news again. Flying Squad officers stormed Barclays Bank Kenya, Queensway branch, Kenyatta avenue Nairobi, as they probed fake currency syndicate. 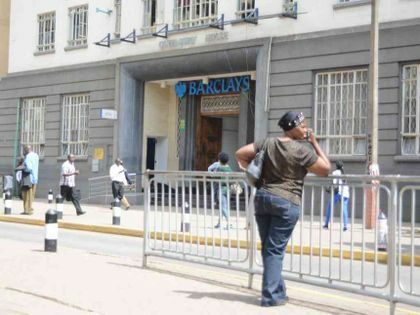 Officers from Directorate of Criminal Investigations (DCI), were tipped, clients had brought in suspicious dollars in one of the bank’s safes.